Please scroll way down for fundraising offers for your Lodge. CLICK HERE for Masonic ties, dress ties, and wild ties at Wildly low prices! 40% off retail on most neckties! Freemasonry and its Etiquette, Encyclopedia of Freemasonry, The Poetry of Freemasonry, History of Freemasonry, 100 questions about Freemasonry, Freemasonry at a Glance, Morals and Dogma of The Ancient Scottish Rite, Bible Masonic Information, Masonic catechism, Revised Duncan’s Ritual Complete, Higher Degrees, Officer Training, Officer Guide, Freemasonry in The Holy Land – a narrative, The Moral teachings of Freemasonry, The House of the Forest of Lebanon, Scriptural poems, The EA's, FC’s and MM's handbooks, Instruction for the ignorant, Masonic forms, The Meaning of Masonry, The Regius manuscript, Solomon’s temple spiritualized. 2000 Masonic Graphics: Animation, Blue House, OES, Square and Compasses, Other Houses, Other Orders. Saved in the "open" standard of jpeg, these files can easily be transported for use in any website, newsletter, letter head, etc. 111 Masonic Screensavers for you to use on your home or work computer. Some screensavers "bounce" while some are in the traditional "slideshow" format. Separate window to show information about the screensavers: Background color, Type of image, Type of action, Size of image, Image color. Different sections of screensavers: Master Mason, OES, York Rite, Scottish Rite, Shrine, Others. OpenOffice The suite covers pretty much everything you need with a word processor, spreadsheet, presentation software, equation editor and a drawing program. It opens most major formats such as Microsoft Office almost flawlessly (Macros aren't converted), saves to PDF, has comprehensive help, and spellchecking in 15 languages. Encyclopedia of Freemasonry, Bible Masonic Information, Masonic catechism, Revised Duncan’s Ritual Complete, Officer Training, Officer Guide, Masonic forms, The Meaning of Masonry, The Regius manuscript, Solomon’s temple spiritualized. 10 separate test. Over 750 questions. Easy to use and learn. You will be studying in minutes after installing the software (or you may run program from CD!). Questions in multiple choice, True False, and matching. Masonic Knowledge questions. All questions include a reference to the study material. In order to keep Brothers from getting bored or "learning a test", answers to questions are never in the same order. The Meaning of Masonry, The Regius manuscript, Solomon’s temple spiritualized. 10 separate test. Over 750 questions. Easy to use and learn. You will be studying in minutes after installing the software (or you may run program from CD!) Questions in multiple choice, True False, and matching. Masonic Knowledge questions. All questions include a reference to the study material. In order to keep Brothers from getting bored or "learning a test", answers to questions are never in the same order. MasonicCD Tracing board is a training instrument used to teach the main parts of the Masonic ritual in order to spark interest and conversation in the Masonic student. Normally, a student is shown a picture and then must explain what it means. The teacher then elaborates about the meaning or asks another open ended question about the relationship of that picture to something else, or proceeds to the next picture. Used since ancient times, this is a tried and true way to teach the Masonic Student about Freemasonry. We provide 63 slides ALL color images for Entered Apprentice, Fellow Craft, and Master Mason degrees, along with a "cheat sheet" for the trainer. Included in this package is the Manual of the Lodge, a 275 page e-book packed full of information on the blue house. In addition, we also provide 3 more e-books: EA, FC, and MM degrees (128 pages) in Microsoft Word/Open Office format so you can add and change wording with ease. Click here for Screenshots In case you do not have Microsoft PowerPoint, we include Open Office, which has a program, similar to Microsoft PowerPoint, called Presentation. For what we are doing (teaching the Masonic student) there is not a difference in a PowerPoint or Open Office presentation. Welcome to the MasonicCD Assistant Secretary database program (MCD AS). At the request of several Brothers we developed a database program to help the lodge secretary keep track of membership, visitors, non-members, widows, different lodges, financials, dues, inventory, and events. This program is very powerful but easy to use and maintain. This is a world class program for a world class organization. To learn about this program click on any of the links above to learn about the program, and download a brochure or 30 day free trial. The Masonic Board Game is a different Masonic educational tool. Developed specifically for the Masonic body, the Masonic Board Game is a fun and exciting way to learn or teach about Freemasonry! The board game is made of top quality materials, all cards feel firm and the board is very solid. Further Masonic knowledge in Brothers. Raise interest for all Brothers to study and increase Masonic knowledge. "Game board night" at your house or lodge. Use the Game Board as a "decorative" item to spark interest and promote Freemasonry in a positive manner. 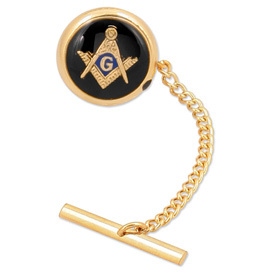 As one lodge pointed out, great in-lodge raffle item, promotional, or other special lodge event item. The Freemasons are the world's best-known fraternity. Famous for their secretive nature and impressive roster of historical members, they are often regarded as a sinister force operating behind the scenes. Some dismiss them as a group of old men who dress up to play games and indulge in a convivial dinner. Others believe they are a corrupting network of avid nepotists and political dabblers, pulling society's strings for their own dark ends. This is a long way from the Order's original reputation as a force of enlightenment, social responsibility, and scientific awareness. Behind the rumors, hearsay, and fagade of secrecy, Freemasonry resonates with a beautiful tradition of philosophical symbolism. The journey through the degrees of Masonry is the journey through life itself. Written by the grandson of a very high-ranking Mason, The Brotherhood is a fascinating look inside an enigmatic institution. Starting with the visible structure of international Freemasonry and the myths and legends that surround it, the book moves on to examine the true meaning of Freemasonry -- its mythological and real history, its social context, and the symbolism and philosophy that illuminates every aspect of the Craft, with a look at the current state of Freemasonry today. Since your lodge will be part of my Cognigen downline if you select the Cognigen offer, I will donate to your lodge 1/2 (50%) of my commissions received that are generated by sales from your lodge. This offer applies only to the Cognigen offer (which also includes other programs offered through Cognigen including Shop For T1.) Your lodge's commissions will continue as long as your customers retain and uses the services they purchased. This offer does NOT apply to fund raisers that are not from Cognigen. Your members and their friends (as well as their businesses) can save on their telecom bills while earning a commission for your lodge! Cognigen customer acquisition engine is ideal for raising money for your Lodge. Cognigen offers a buffet of products and functionality that can be used to meet your goals. We have helped dozens of organizations to lower their members' bills while the organizations have earned money every month! Companies, business organizations and groups like colleges, public service companies, and other organizations (both for-profit and non-profit). Churches and church youth groups, Sports teams such as football, basketball, soccer, etc, High school marching band, Cheerleading and color guard, Boy Scouts/Girl Scouts and almost any school group, booster club or PTO/PTA group, and Masonic Lodges. There's a problem with the "traditional" fund raisers like bake sales, car washes, and the like. When the baked goods are gone, when the car wash hoses are turned off, when the last volunteer has gone home for the day, the same thing happens to your revenue stream - that source of income is shut off too! Zero cost to implement or join the program. Income accrues 24x7, month after month and year after year. The group is given a free, professionally built web site. The group's free web page contains links to a wide variety of very cost-competitive products and services that the group can market and sell. Customer ordering is done online -- paper forms are available but not required. There are no deliveries to make, no inventory to stock, no collections to make. Commissions on sales are the highest in this product/service segment. Your group markets products and services that people are already using, worldwide, daily, for what they are probably paying too much. Your group is using products and services at extremely competitive prices that will actually save people money, instead of asking them to buy highly over-priced items that they don't really want or need. How Much Money Can My Group Earn? That's entirely up to you. The amount of commission paid to your group every month is dependent on how many sales are made, which products and services are sold, and the amount of usage each customer has. Some services pay residual commission, some have a one-time bonus payment. So, for this one month, the commission check paid to your group is for $240 to $300. That's just one month -- do the math on how that works out over the course of an entire year, especially if your group continues gathering customers, and sells more than just the very competitive long distance services, as this example shows! Signup for the Cognigen Affinity Groups & Fund Raisers program This part of the process will create your account and give you further instructions about your website. Send your members to your newly created website so they can enjoy the savings and you can start making money. It's simple as that. Our automated system will allow your members to order products and services instantly online. Our vendors will do the billing, so all you really need to do is occasionally logon your private web site to check your status and commission reports to find out how much money you have made! Vendor Reporting cut-off is the 28th of each month. There may be a delay if a vendor is late in reporting. Checks are printed and sent for processing and mailing on the next business day. Please note holidays and week-ends will affect the date a check is sent and received by the agent. Cognigen reserves the right to refuse any application for any reason.